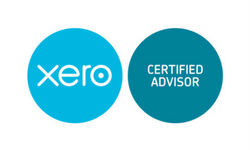 Welcome to the Aqua Digital Bookkeeping privacy notice. Aqua Digital Bookkeeping respects your privacy and is committed to protecting your personal data. This privacy notice will inform you as to how we look after your personal data when you visit our website (regardless of where you visit it from) or buy a service and tell you about your privacy rights and how the law protects you. This privacy notice aims to give you information on how Aqua Digital Bookkeeping collects and processes your personal data through your use of our services any data you may provide through this website when you sign up to our newsletter, purchase a product or service or take part in a competition. This Policy is not intended for children and we do not knowingly collect data relating to children. Aqua Digital Bookkeeping is the controller and responsible for your personal data (referred to as Aqua Digital Bookkeeping, “we”, “us” or “our” in this privacy notice). Identity Data – includes first name, maiden name, last name, username or similar identifier, national insurance number, unique tax reference number, marital status, title, date of birth and gender. Financial Data – includes bank account, tax information, pension information and payment card details. Technical Data – includes internet protocol (IP) address, your login data, browser type and version, time zone setting and location, browser plug-in types and versions, operating system and platform and other technology on the devices you use to access this website. Direct interactions – You may give us your Identity, Contact and Financial Data by filling in forms or by corresponding with us by post, phone, email or otherwise. This includes personal data you provide when you apply for our products or services; request marketing to be sent to you or provide feedback. * search information providers such as Veriphy based outside the EU. * Contact, Financial and Transaction Data – from providers of technical, tax, payment and delivery services such as HMRC based inside the EU. * Identity and Contact Data from data brokers or aggregators based inside the EU. * Identity and Contact Data from publicly available sources such as Companies House and the Electoral Register based inside the EU. – Where we need to perform the contract, we are about to enter into or have entered into with you. Generally, we do not rely on consent as a legal basis for processing your personal data other than in relation to sending third-party direct marketing communications to you via email or text message. You have the right to withdraw consent to marketing at any time by contacting us or clicking on the unsubscribe button at the bottom of our updates and newsletters. You can ask us or third parties to stop sending you marketing messages at any time by contacting us or by following the opt-out links on any marketing message sent to you. – Third parties to whom we may choose to sell, transfer, or merge parts of our business or our assets. – Where we use providers based in the US, we may transfer data to them if they are part of the Privacy Shield which requires them to provide similar protection to personal data shared between Europe and the US. For further details, see European Commission: EU-US Privacy Shield. Please contact us at if you want further information on the specific mechanism used by us when transferring your personal data out of the EEA. – Service providers acting as processors who provide IT and system administration services. Examples of providers we use include (but are not limited to) Dropbox, Xero and GoCardless. 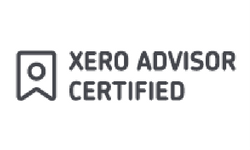 – Professional advisers acting as processors or joint controllers including lawyers, bankers, auditors and insurers who provide consultancy, banking, legal, insurance and accounting services. – HM Revenue & Customs, regulators and other authorities acting as processors or joint controllers] based in the United Kingdom who require reporting of processing activities in certain circumstances.